If your child has been diagnosed with Asperger’s syndrome, you may have heard the disorder labeled as a milder form of autism or a high-functioning form of autism. Children with autism and those with Asperger’s do share some symptoms that are similar, such as those that affect social skills and communication. However, children with Asperger’s syndrome typically do not struggle with speech and language delays, and they do not usually experience intellectual impairments. The unique challenges of Asperger’s syndrome can make it difficult for a child to succeed at school and with personal goals. Fortunately, an ABA therapist can help with these challenges. Like children with autism, those with Asperger’s often have difficulty making and keeping friends. However, this doesn’t mean that they want to become socially isolated; they simply aren’t sure how to maintain friendships. Children who are developing typically may find it difficult to interact with them. This is sometimes because children with Asperger’s often develop obsessive interests in one or two narrow topics, and they may talk about these interests to the exclusion of other topics. 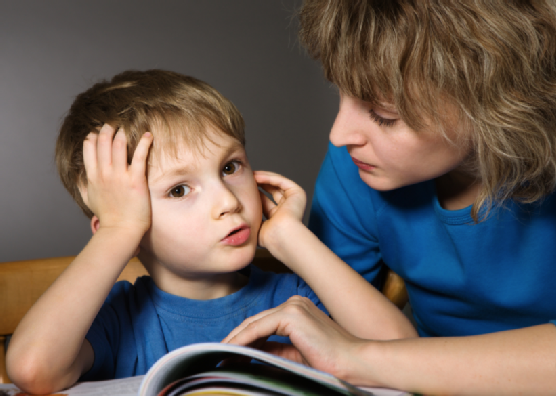 Children with Asperger’s do not typically have limited speech; however, they often struggle with using language correctly within a social context. They may have trouble interpreting facial expressions, body language, and other subtle language cues. They often interpret language literally and have trouble with abstract language. In addition to experiencing social skills deficits and communication difficulties , children with Asperger’s syndrome may display some atypical behaviors. For example, you might find that your child has repetitive habits, such as wringing his or her hands and twisting his or her fingers. Your child may rigorously adhere to certain rituals or routines and become upset when they are interfered with. They might also be considered clumsy or awkward in their movements. If you suspect your child has Asperger’s syndrome or similar challenges, you can turn to the therapists of The Behavior Exchange for help. For almost 20 years, our therapists have been helping families in the DFW with programs based on Applied Behavior Analysis (ABA) techniques, such as our behavior classes and social skills classes. Call our center in Plano at (972) 312-8733 and ask us how we can help your child.